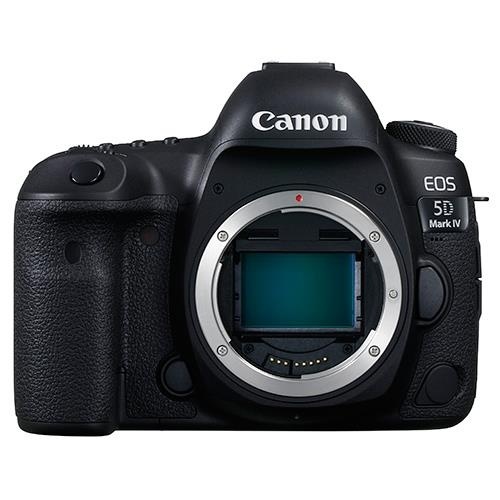 The Canon EOS 5D Mark IV is the eagerly anticipated successor to Canon's best selling EOS 5D Mark III. 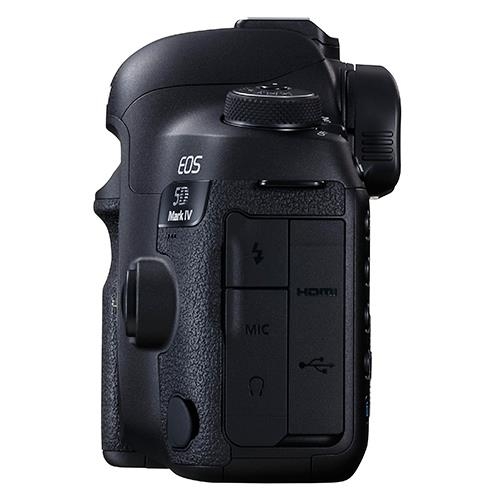 The 5D MKIV offers several significant improvements including a new 30.4MP CMOS full-frame sensor, an upgraded AF system, 4K video recording plus 4K Frame Grab, ISO 100-32000 which is expandable to 102400, 7 fps continuous shooting, Wi-Fi with NFC plus GPS, improved weather-sealing and much more. 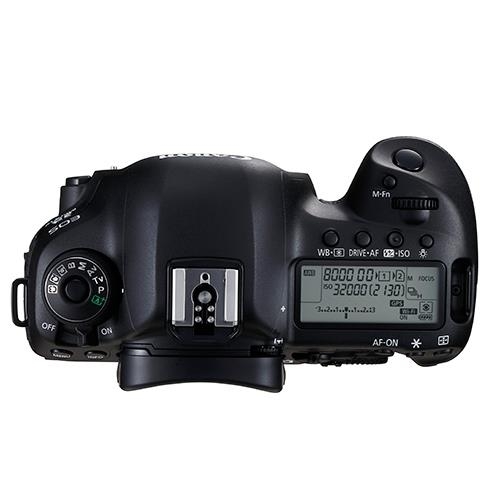 Shoot captivating stills wherever you are, day or night. 30.4-megapixel resolution delivers extraordinary detail. 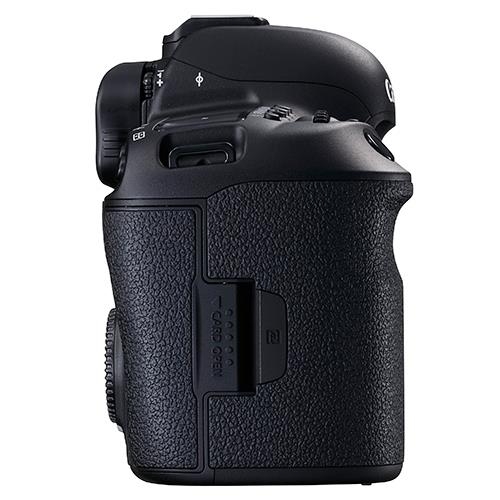 With 61 points the 5D Mark IV has the same number of autofocus (AF) points as the 5D Mark III, but the AF system has been given a refresh and made similar to the one in the flagship Canon EOS 1DX Mark II. Of the 61 points, 41 are the more sensitive cross-type, with 21 of those being cross-type with maximum apertures as small as f/8. There are also 5 points that are dual cross-type at f/8. Having more cross-type points makes the 5D Mark IV better than the Mark III at detecting subjects, and making the system sensitive down to f/8 means it works better when teleconverters are used to extend the reach of telephoto lenses. Anti-flicker technology combats variations in brightness under artificial lighting. In pursuit of the perfect moment, the EOS 5D MARK IV can shoot continuously at 7fps. 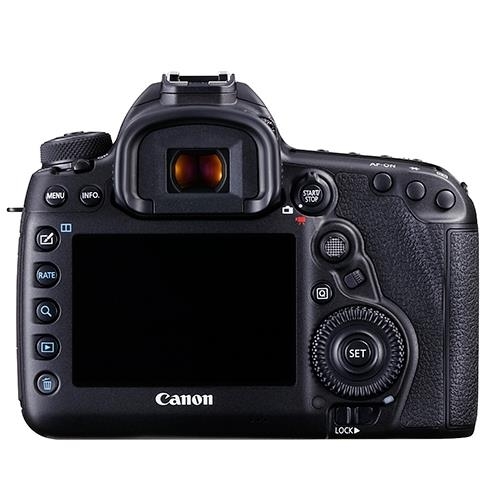 Its viewfinder and user interface are highly customisable, with intuitive touch-screen operation offering new levels of camera control. Add weather-proof sealing and you have a DSLR that's at home in just about any environment you can think of. Record your movie moments using the power of EOS 5D Mark IV's incredible sensor to add detail and extra refinement to every scene. With options to record in high-resolution 4K1 as well as Full HD for frame rate options including 60p slow motion, the world of DSLR film making just got better. 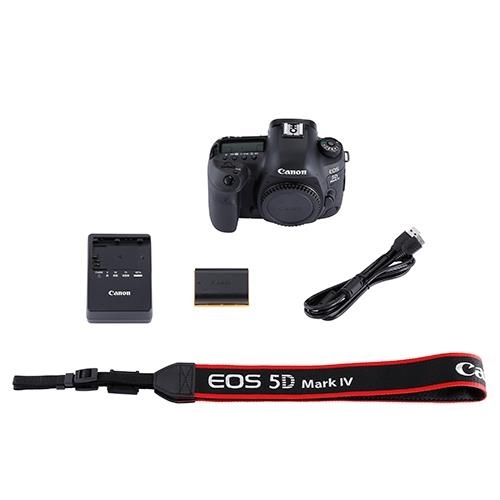 A feature taken from the EOS-1D X Mark II, EOS 5D Mark IV users can shoot 4K movies and save any frame as a beautifully detailed 8.8-megapixel still image straight to memory card as a JPEG file. Low light performance is improved at every ISO setting, with much reduced digital noise and a maximum sensitivity of ISO 32,000 (expandable to ISO 102,400). Be confident of superb image quality even when shooting in poor light. 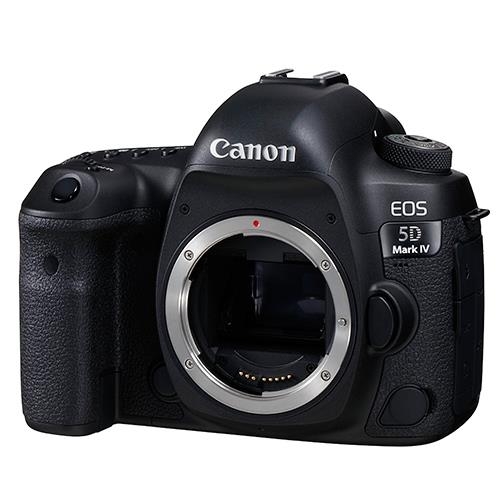 There's other data in the EOS 5D MARK IV's files too. Built-in GPS tags images with your location as you shoot them. IPTC metadata can also be embedded. With in-camera RAW processing it's easy to produce client-ready JPEGs, and Wi-Fi and NFC connectivity makes it simple to send or share them, using either FTP/FTPS networking facilities or your smartphone.